Dell Precision M6500 workstation overheating and running slow. This is a sea kayaking blog but blog authors and visitors need to use some sort of computer to access the Internet. Please excuse a technology post! For the last 38 months I have been using a Dell Precision M6500 workstation notebook. It works like greased lightening when editing and previewing large RAW files from my Canon 5D mk3 camera in Adobe Lightroom 5. I bought it because of great experience of three Dell Precision M6400 computers I used at work, The M6500 was three years old in November 2013 and I wondered about extending its warranty. A quote from Dell offered 3 year on site pro support for £311. I thought about it too long and by the time I had made my mind up it was too late, as the offer period expired when the computer passed 3 years old. The reason I had not made my mind up is that in general I do not buy extended warranties but this one did seem quite reasonable. Anyway, the computer had been trouble free for three years so...I suppose I thought I didn't need the warranty. 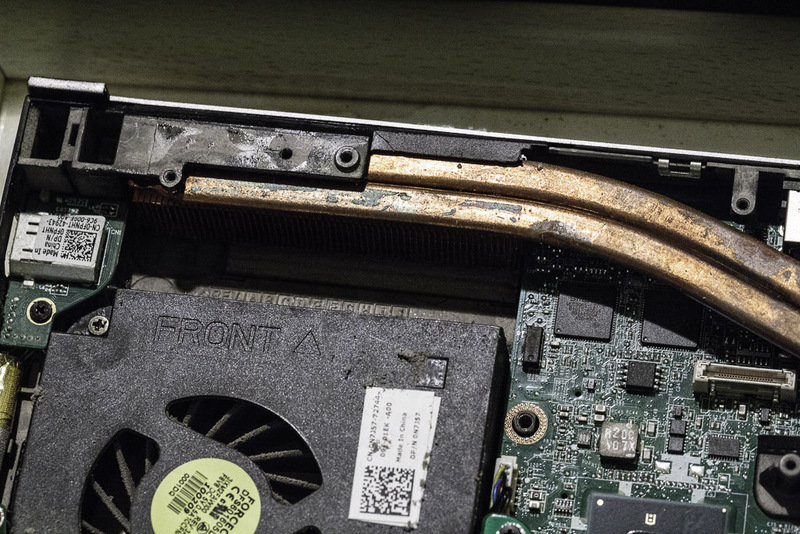 Exactly one week after the original 3 year warranty expired, the computer began to develop increasing problems, which rapidly worsened until it was almost unusable five weeks later. It began to slow down to a crawl, especially trying to do anything with big RAW files in Lightroom. The Windows experience Aero graphics score fell from 6.8 when the computer was new down to 2.8. The video drivers on the Dell site for the NVIDEA Quadro FX 2800M graphics card were rather old so I downloaded the latest (Nov 2013) drivers off the NVIDEA site. I also updated to the latest Dell bios. Neither made any difference. The fans began to run all the time. The computer frequently and spontaneously rebooted. It suffered several blue screen of death episodes. On other occasions the screen would freeze and the mouse pointer locked up. I thought I might have a virus (as the symptoms seemed to have developed quite quickly). Scans with Sophos and Malware bytes revealed nothing and the problem persisted even when the computer disconnected from the Internet. Suspecting overheating I installed ThrottleStop found the CPU and GPU were running at 95C. I decided to explore the computer's cooling system and used the online Dell service manual and dismantled the computer, which took about half a day. This was how I found the CPU heatsink. The fine copper grille was completely blocked with dust. I suspect it built up slowly over the three years but as it built up, it gathered more dust increasingly quickly, which explained the relatively rapid and recent onset of symptoms. The CPU heat sink and grill fits in behind two other heatsinks and grilles which cool the graphics card and share the left hand fan. The graphics card also has another built in heatsink and fan on the right side. Its grille was similarly blocked but was even more difficult to get at and clean than the CPU heatsink and grille. Once back together, the computer is running cool again at 50 to 55C, with hardly any noise from the fans. It is also working like greased lightning and the graphics score is back to 6.8. 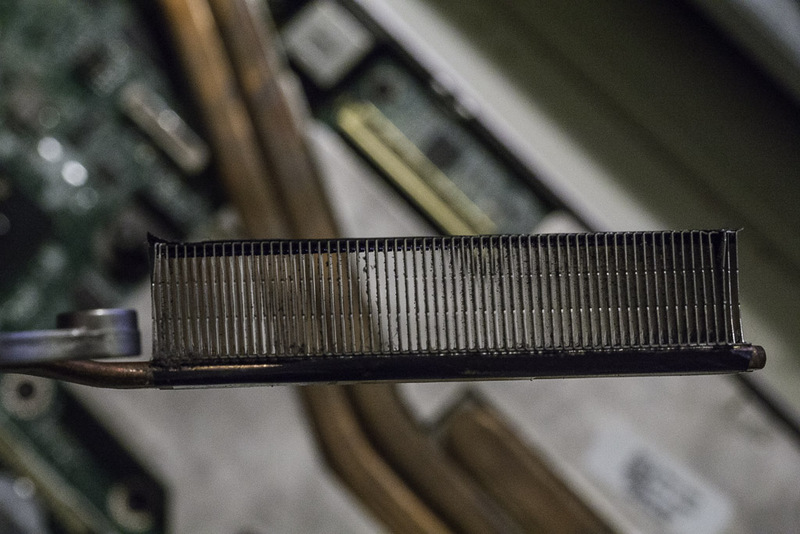 It is a real pity that the whole computer (literally right down to the motherboard) needs to be dismantled to get at these heat sinks. It is not a great design. It is almost inevitable that other Precision M6500s will become affected. 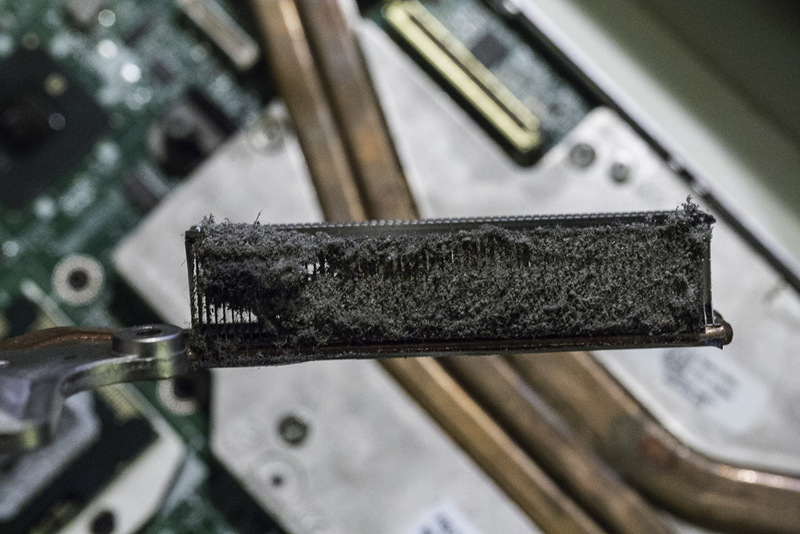 It took me about 7 hours plus a trip to Maplin for some Antec Formula 7 heat sink thermal compound paste to get it running again. It is not what I expected from a top end laptop. Perhaps they are built with a three year life expectancy for business but I am a private buyer and expected it to last longer. Still I have avoided buying an expensive replacement so now I can afford to buy something else!